As published in The London Evening Standard on Saturday 17th December 2016. 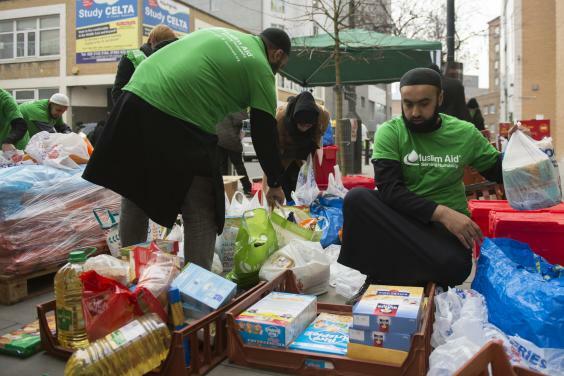 Muslims have donated 10 tonnes of food to feed the homeless across London at Christmas, religious and charity leaders said. Hundreds of Muslims flocked to the East London Mosque on Friday in a drive to feed London's homeless during the festive period. Pictures showed members of the 7,500 strong Muslim congregation donating food as they attended Friday prayers at the mosque in Whitechapel. Members of the congregation stood proudly in front of crates of shopping bags filled with rice, pasta, cereals and other tinned goods, ready to be distributed to people living on the street. 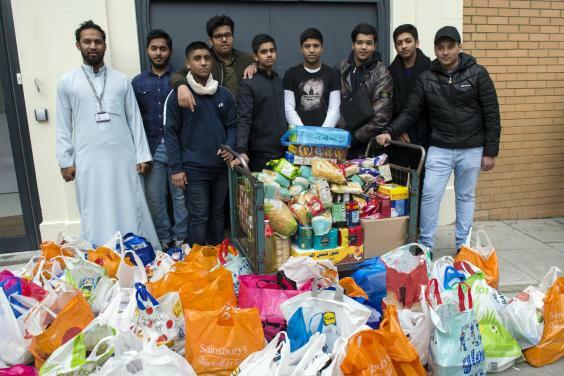 Organisers estimated that over seven tonnes of food were donated with local businesses, schools, a university and leaders from other faiths chipping in. 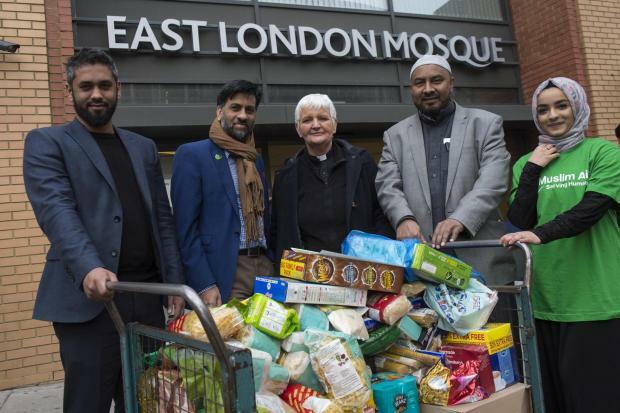 Shaykh Abdul Qayum, Chief Imam of the East London Mosque, who organised the collection along with charity Muslim Aid, said the drive was inspired by their faith. He said: “Muslims are inspired by their faith towards helping others in need. It is a religious duty for Muslims to try to help others, irrespective of a person's faith or background. The number of people sleeping rough in the UK has risen dramatically, with government figures estimating that over 3,500 people slept on the streets each night last year, an increase of 30 per cent compared to 2014. The charity Centrepoint warns that 25,000 young people could be at risk of homelessness this Christmas. Jehangir Malik, Chief Executive of Muslim Aid said: “With austerity cuts and the housing crisis, more and more people are ending up on the streets – destitute. "We, as a Muslim charity, want to do everything we can to help the most vulnerable people in this country this Christmas, regardless of faith or background." The Evening Standard's Homeless Helpline appeal is raising money for the Centrepoint Helpline, a brand new support service that will save young people from ending up on the streets.